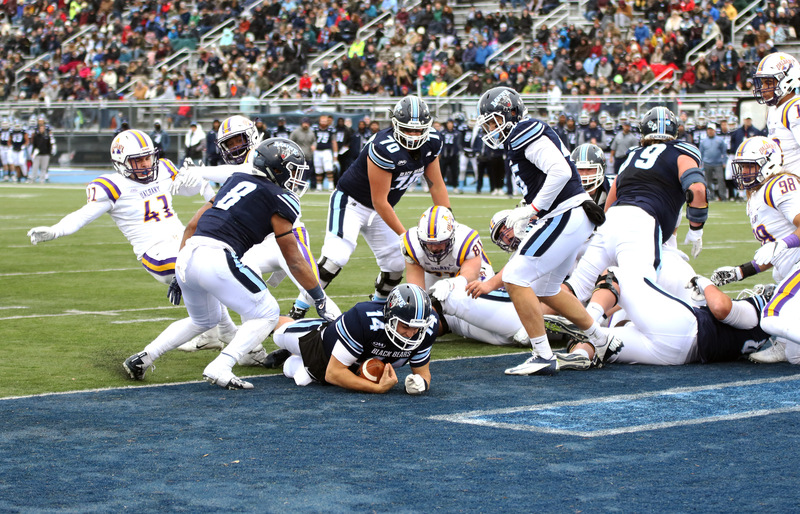 Maine bounced back from a bad loss to William & Mary by easily beating Albany last week. The loss to William & Mary lands the Black Bears in a tie with 3 other teams in the CAA at 4-1 in the conference. Unlike the other team teams in the tie, Maine has three losses on the season. A non-conference loss to Yale could be the tipping point in the Black Bears season. Maine most likely needs to run the table over the last three weeks to make the playoffs. A loss would put them on the bubble, and with so many teams fighting for playoff spots, four losses probably eliminates them from consideration. To do that, the Black Bears need to find a way to slow down Tom Flacco and the Towson offense. Luckily for Maine, the defense is the strong suit of their team. 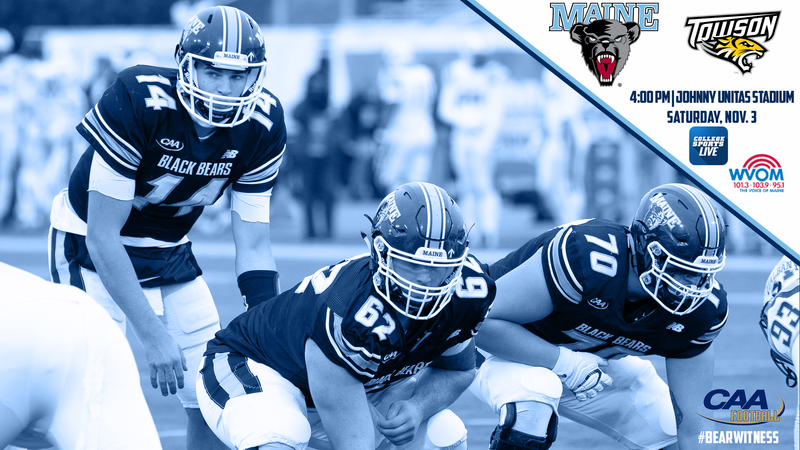 Key Player: LBs Deshawn Stephens and Sterling Sheffield lead the defensive attack for Maine. On the season, the pair has controlled the field, combining for 123 tackles, 22.5 tackles for loss and 15.5 sacks. Against a strong offense like Towson, the linebackers are going to have to be very active in controlling the running game and not allowing Tom Flacco to get loose when he breaks contain. Stephens is the bull rusher of the linebacker pair while Sheffield controls the middle of the field, then reads and reacts to the play quickly. If these two strong linebackers can hit Flacco multiple times and come up with sacks, it will give Maine a much better chance to flip field position and control the game. Fantasy Bonus Baby: QB Chris Ferguson has been up and down in the three games since returning from injury. In the wins over Rhode Island and Albany, Ferguson has been instrumental in the offensive attack, combining for 552 yards with three touchdowns and two interceptions. In the loss to William & Mary, Ferguson was off all day, throwing three interceptions. Ferguson knows he will have to protect the ball this week to keep the Towson offense off the field. He may throw one pick, but look for multiple touchdown throws and a yardage total north of 250. Towson suffered its first CAA loss of the season last week, falling in a shootout to Delaware. The Tigers had an opportunity to win late after a clutch long kickoff return, but Tom Flacco’s pass on the last play of the game went through the end zone. The Tigers are one of four teams sitting at 4-1 in the CAA and still control their destiny to the conference’s automatic playoff bid. The last three games are going to be tough for the Tigers as the three opponents have combined for an 11-3 CAA record. Towson cant look ahead though; they need to focus on the task at hand this week, which is Maine. Key Player: QB Tom Flacco has been the best quarterback in the CAA this season. To this point, he has thrown for 2201 yards with 19 touchdowns against 8 interceptions. Flacco also leads the team on the ground with 570 yards and four touchdowns. Flacco does have a propensity to turn the ball over or take a sack looking for a play down field. Against a stout Maine defense, he is going to have to make quick decisions and not sit back in the pocket. The longer he holds the ball, the more likely it is that Maine’s linebackers will draw a bead on him and frustrate his game. The Towson offense has been the best in the CAA thus far, and Flacco is the main reason why.